After developing hundreds of business plans and establishing & running profitable and successful e-commerce businesses, I generally have a good idea of what it takes to write a great Ecommerce business plan. For those that don't know, eCommerce is the transaction of business online. E-commerce sites include eBay, Amazon and personally owned sites that sell products, services and/or digital downloads from a proprietary web domain. E-commerce businesses are different than traditional businesses in the sense that they generally do not have a brick-and-mortar component. 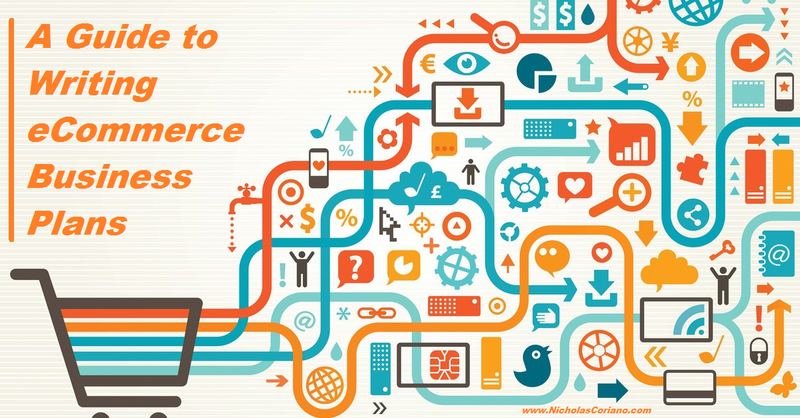 There are many ways to make money online, eCommerce is one of them. Market research for your eCommerce business plan. Depending on what product or service you will be selling online, will depend where you go look for market research and industry sector information to put into your business plan. The market research for an e-commerce business plan is important for the assumptions in the financial projections of a business plan. Standard in the market research of an e-commerce business plan is your audience demographic, your target audience profile, you're niche statistics and where your target audience may hang out online. In the market research section of your eCommerce business plan you should also include an industry analysis. The industry analysis will showcase your competitors and the overall landscape of your industry. For example if you are selling fitness products online you will want to discuss the fitness industry. Similarly if you are selling products that will be digitally downloaded or you are focused on a drop-shipping model for your eCommerce business, then you should do some homework on digital downloads or drop shipping in the industry analysis page to understand the industry better. Consider including digital downloads and Drop Shipping in your business plan. If you have not already done so, you should consider utilizing the Drop Shipping business model for your e-commerce website. In addition, you should consider selling digital downloads of e-books, videos, training courses, posters, PowerPoint presentations and other digital files that can be sold online. These two business models do something fantastic for your eCommerce business. It increases the amount of inventory you can have on your website without increasing the cost of actual inventory. This is because you do not have to pay for the inventory upfront in a drop-shipping model and generally there is only a one-time expense with a digital download product (buying it or making it). Also with a digital download product, you never have to do anything after the sale is made. 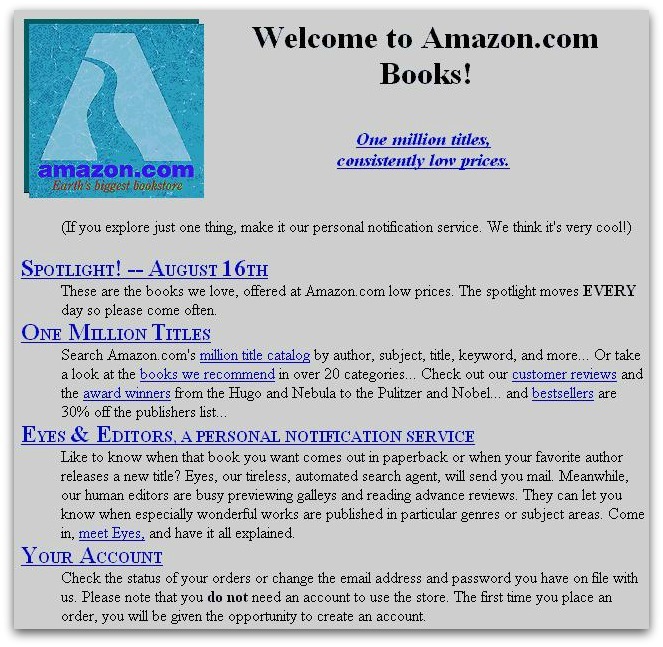 Many websites automatically send the digital download to the buyer after the customer has made their purchase. Drop shipping allows you to sell a product from a supplier while the supplier still has the product. When the product sells, you simply order the product from the supplier and the supplier will send it directly to your customer with no price and no name on it (this is sometimes called blind dropshipping). Again, the beauty here is that you do not need to buy inventory in order to increase the number of products on your online store. Making the most of the marketing plan in your ecommerce business plan. 9 out of 10 business owners are utilizing social media or some type of online marketing for their business. The other 1 is crazy. In today's technological era, social media and online marketing is one of the most cost-effective and efficient ways to reach any audience. 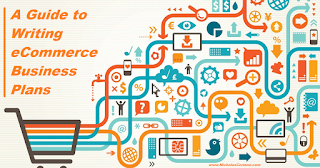 In an e-commerce business, it is necessary to properly utilize social media platforms and online marketing to ensure that visitors online are aware of your eCommerce operation. Beyond the traditional social media advertising that is organic on places like Facebook, Twitter and Instagram, there is more. In the marketing section of your eCommerce business plan be sure to include a section for social media influencers, pay-per-click advertising, search engine optimization, backlinking, being featured on guest blogs, trying to get on podcast and more. If there is a way for you to get press or promotion online, then you should try. An underutilized tool in promoting e-commerce websites and online stores is affiliate marketing. In affiliate marketing, which can also be used as a way to generate revenue for your website, you pay advertisers to advertise your links to your website. Places like Commission Junction (cj.com) have programs set up so you can place your online store in front of millions of online users. Bloggers and other advertiser's join places like Commission Junction and grab your advertisements links and put them on their blog or online store. When a lead comes in or you get a customer from the affiliate, the affiliate gets a percentage of the sale or a predetermined amount of money. This is a great way to drive targeted traffic to your website. Some of the best Ecommerce stores have only 1 to 3 products. This really surprised me. But turns out that some of the most profitable online businesses include businesses that only had one or two products on the website. Examples include Dollar Shave Club and other monthly subscription delivery services. These monthly subscription delivery services, generally only promoting one or two products, allowed the online store business owner to not have to make a large capital investment on many inventory pieces. If you have to buy 10,000 products in 10,000 different variations, well I hope you have a lot of money. It will also be more difficult to market the products if the products are varied. For example if you sell coins, you know that promoting your website in a coin collecting group on Facebook we'll have a good impact. If you sell coins and diapers, well then this will be harder to Market in one location. The point is that the less products you have, the more you can Target Market, and the less it will cost to hold inventory. It turns out that it is also better for understanding your product and your customer base since you are not spread thin. You will know for sure when your online store is live. Hurry up and publish your online store. 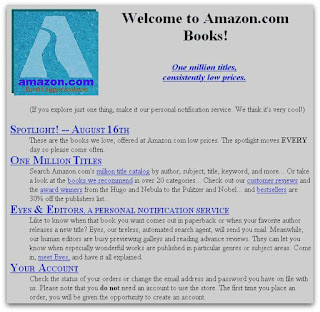 If you look at the first version of amazon.com it looks like something a two-year-old could design. Of course this was years ago and they revised it about a thousand times since then. My point is that you have to try and the faster you publish your website the faster you will get feedback to understand if it is working or not. If it is not working change it. The truth is nobody's going to see your website on day one anyway unless you have a big marketing budget established to promote the website on day one. Which would also be a mistake. The day you launch your website is the day you do your first marketing test. Based on the data from driving traffic you will know whether it is working or not, then the job is to do it again. The reiterations of customer flow to your website and the constant redesign of your website is key to getting to profitability. Now if you happen to be one in a million, then you will only design the website once, but that is highly unlikely.